Many iPhone 7 and 7 Plus users reported that they experienced Black Screen of Death on their camera. When they tried to open the camera either from the lock screen or the app directly, the camera froze up with a stuck black screen or a blurred image showing up on the display, and they therefore cannot take any picture or video. 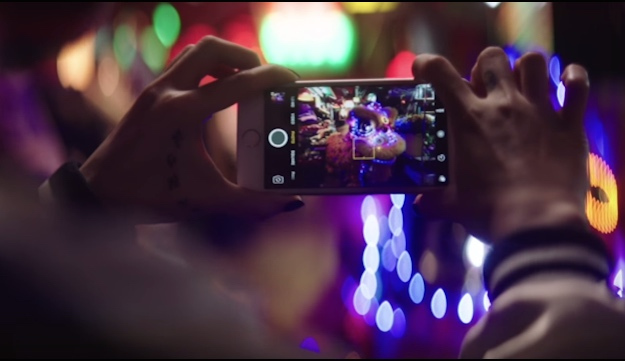 The camera freeze problem is also happening on the iPhone 6s and Plus. It seems to be a bug and the cause is not known yet. Simply quitting the app by pressing the Home button or from the multitasking does not help. So what can you do if your camera is not working? This post lists several ways that you can try to solve the issue. The first thing you can do when you find yourself in this situation is to restart your phone. In some case it helps get rid of the camera not working problem. If your camera still freezes or lags, try these options one by one until the issue get fixed. If there is any update available, upgrade your iPhone via Settings > General > Software Update. Or you can do the update through iTunes (which is more safer). Head to Settings > General > Storage & iCloud Usage. Then select Manage Storage and tap an item in Documents and Data. Slide unneeded items to the left and tap Delete. Tap Edit > Delete All to remove all the data in the app. The issue might be caused by prolonged use of the camera app. You may also clear out the camera roll by removing the photos and videos that you don’t want. Many users have successfully tackled with the issue by resetting iDevice. Resetting will not delete any files or photos on your iPhone. To reset your iPhone, head to Settings > General, scroll down and tap on Reset, and then tap on Reset All Settings. Resetting is a little radical and you will need to backup all data on your iPhone through iCloud before that. To restore your iPhone, connect your iPhone to Mac, launch iTunes, select your iOS device from the menu, and choose Restore option. Some users asserted that the issue cannot be fixed by rebooting, resetting, DFU, or new Apple ID. If you are stuck into the same dilemma, you can contact official Apple Support, or directly take your iPhone to the retailer or Apple Store and ask for a replacement. For those who are annoyed by this camera issue, submit the bug to Apple in iPhone Feedback page, and see if it will be addressed by Apple developers.